I love this initiative from RMIT in Victoria. I used to work with adults who couldn’t read or had trouble with comprehension – it’s very easy for our minds to wander while we’re reading or our brains spend too much time figuring out the words without understanding what we’re reading (that’s before you even consider how engaged our brains are – or not). A team including a designer, a psychologist, and a behavioural economist at RMIT University in Melbourne created a new font, Sans Forgetica, that uses cognitive psychology to make your brain work a little harder, hence engaging you in the text and helping you to remember. Gaps: When presented with incomplete visual information, the brain fills in the missing bits. (Exactly why you can’t edit your own written work effectively – you know what you’re saying and your allows you to miss the mistakes). Lean Back: I love this one – as a left-hander, I used to write with a backward tilt (I don’t anymore after some rather lengthy intervention during schooling!). Your brain isn’t used to seeing sentences tilt to the left, backwards. Maybe I should re-deploy my backward tilting handwriting?!! 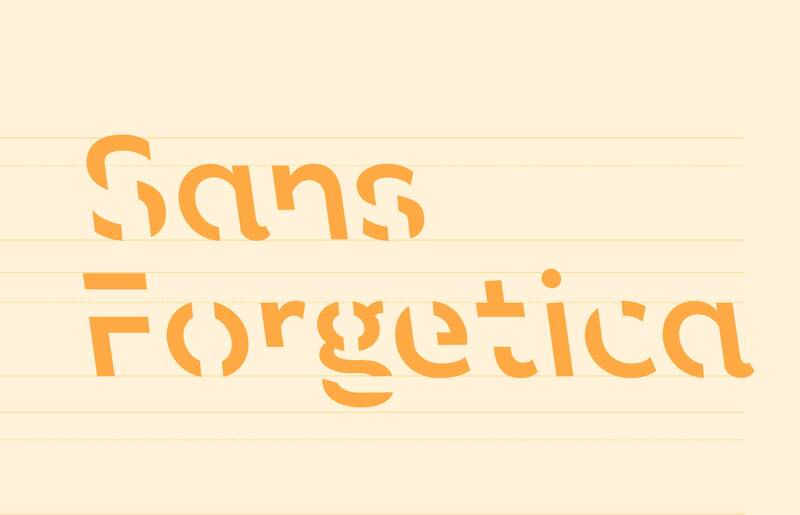 An important tip – use with care: Sans Forgetica was not intended for entire books (the creators say it’s migraine-inducing!) – use selectively to highlight important bits of information. Misuse: oh oh – it had to happen! Advertisers are already starting to use it to ensure their message cuts through the noise.